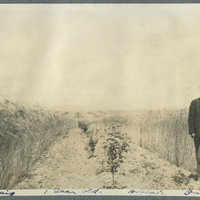 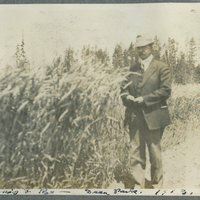 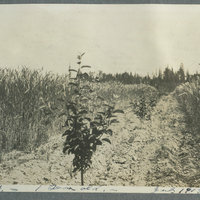 Main ditch of Loon Lake Irrigation Co.
1913 Photo album of Deer Park (Pg 032): One year old trees and wheat in July 1913. 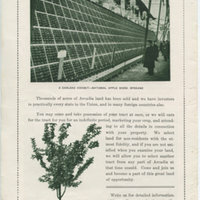 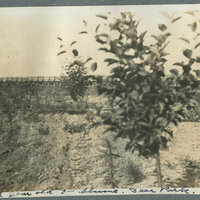 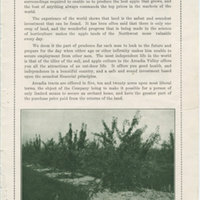 1913 Photo album of Deer Park (Pg 029): Orchard 2 years old with the irrigation flume in the background. 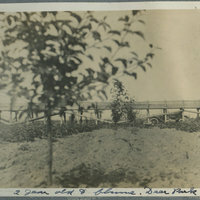 1913 Photo album of Deer Park (Pg 030): 2 years old with flume in the background. 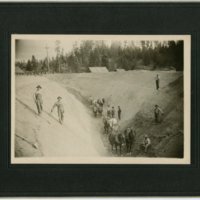 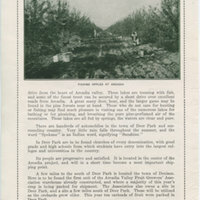 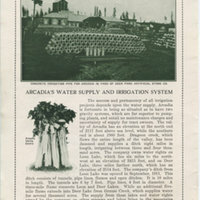 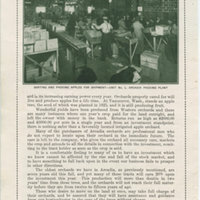 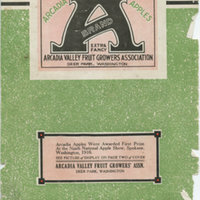 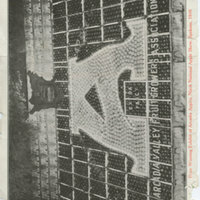 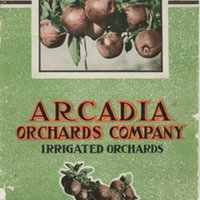 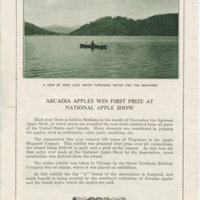 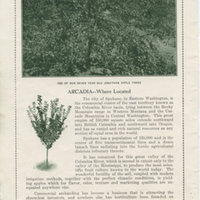 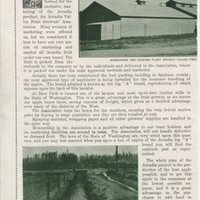 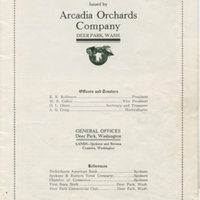 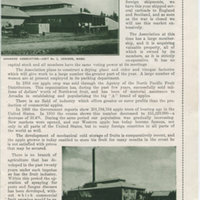 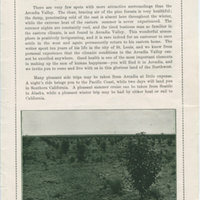 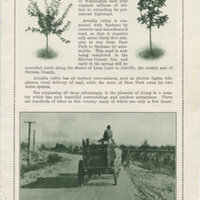 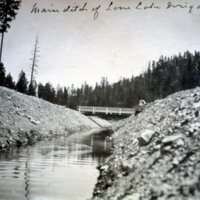 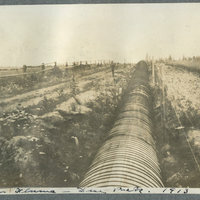 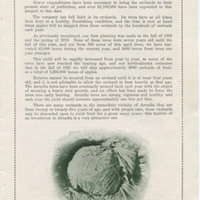 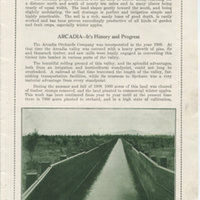 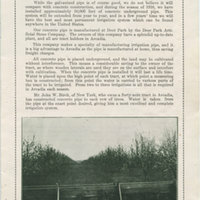 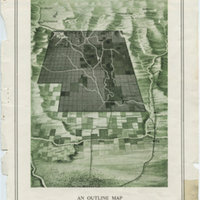 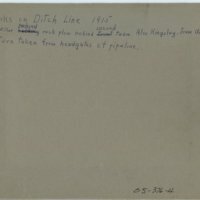 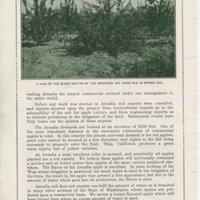 1913 Photo album of Deer Park (Pg 025): Main Flume of Arcadia Orchard Co.